Functions and new experiences bringing emphasis and support to future manufacturers! • Showcase the diversity, heritage, and progressiveness of WV manufactured products. • Bring together manufacturers to discuss common problems, find resources to assist, and support each other with stronger relationships. • Provide programming specific to the needs of manufacturers. • Network with other manufacturers and affiliated companies to cultivate strong statewide manufacturing development. 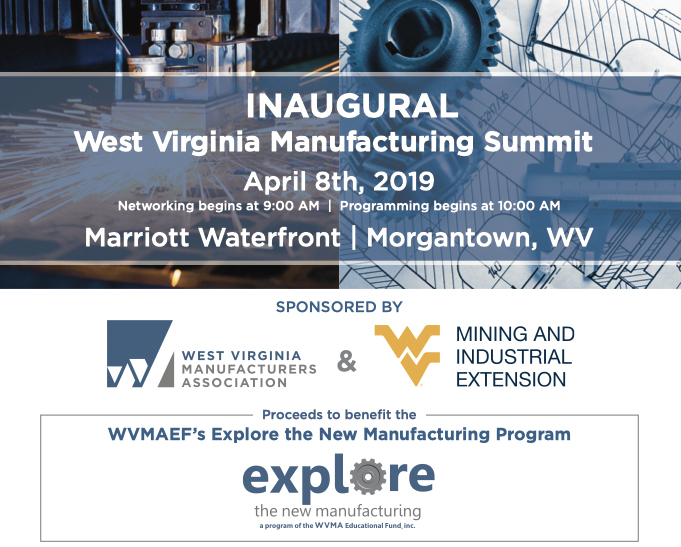 Explore the New Manufacturing generates excitement about career opportunities in manufacturing, information technology, life sciences or other technology in West Virginia. If you would like a copy of the "Explore the New Manufacturing" presentation, please contact us at 304-612-4912.